Please consider making a donation to the Purchase Community House Capital Fund Drive by clicking on the "Donate Online" button at left. For 100 years, the Purchase Community House has been committed to developing citizenship and neighborhood pride. We are a private, not-for-profit corporation located in the heart of Purchase. The Community House is the hub of activity in Purchase and the surrounding neighborhoods. Our "Members" are those families residing in a home eligible to attend Purchase Elementary School including some West Harrison and Rye mailing addresses. The Community House provides a safe and nurturing place for our families and is a second home to many of our children. 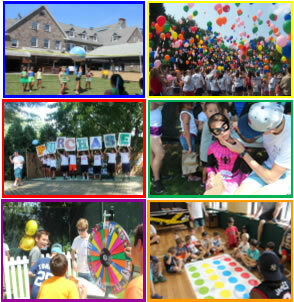 It is a place where values are taught and lasting friendships are made. I invite you to browse this website to learn more about our programs. As you can imagine, a 100-year-old building needs a lot of TLC. Each year we collect funds to maintain this historic building. The largely invisible projects are necessary to preserve this century old landmark. Your financial support of our Capital Fund Drive is vital to maintaining the facility. Along with the entire Board of Directors, I ask you to support the PCH with a donation today. We do not receive and funding from the Town of Harrison! We rely solely on program fees and donations to maintain this House. We are a 501(c)(3) organization and your contribution is tax deductible as provided by law. Our Federal EIN number is 13-5658449. You can download a donor form or donate online from our website to make your tax-deductible contribution. Your gift in any amount will enable us to continue this tradition. Please join us in our commitment to the community! As always, Capital Fund donors will continue to be duly recognized by giving level in future PCH publications and at future PCH events. While we know you do not give merely for publicity, your gift will undoubtedly motivate others in our community to join in this important quest. If you would rather not be recognized in any formal listing of contributors, please indicate that on the donation form and include the form with your donation. If you are donating online and wish to remain anonymous, please check the appropriate box on the online donation form before submitting your donation. If you donated in the past and want to change how your name is listed, or if you are donating for the first time and want your name listed a particular way, please indicate that on the donation form and include the form with your donation. If you are donating online and want your name listed a particular way, please indicate how you want to be listed on the online donation form before submitting your donation. 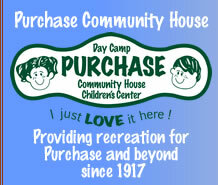 Checks are made payable to Purchase Community, Inc., a tax-exempt, non-profit organization under I.R.S. code 501(c)(3). Donations are tax deductible as provided by current Tax Law. If you work for an organization that offers a matching funds program, please consider exercising that option.